Guanacaste has been known for being the birthplace of Costa Rica Folklore and Culture, with great people, amazing resorts and stunning nature and beaches. We are celebrating it, next Monday. Learn about it here. Diving in Costa Rica is a new experience to discover. 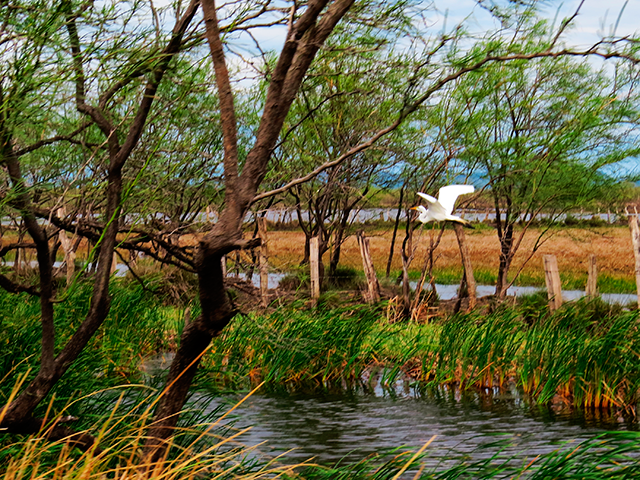 It has a vast amount of plankton and other living organisms found in the Guanacaste waters. In the Pacific Ocean, there is an amazing amount of life that you may not find anywhere else in the world. The coastal waters of northwestern Guanacaste offer a spectacular diversity, from a small, fluorescent damsel to a giant stingray. Guanacaste is an excellent location to surf, international recognition, it’s tropical temperatures, warm waters and breezes make good beaches places with perfect conditions for this sport throughout the year. The best season is the rainy on, which is when the biggest waves are formed. 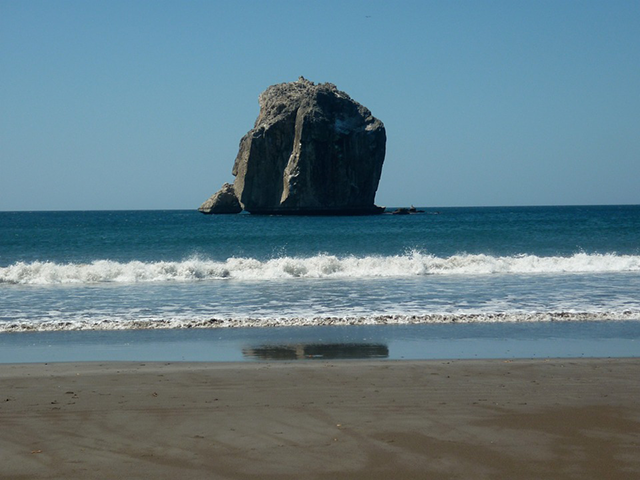 Among the most famous beaches is Tamarindo, Roca Bruja, Santa Rosa National Park and Potrero. 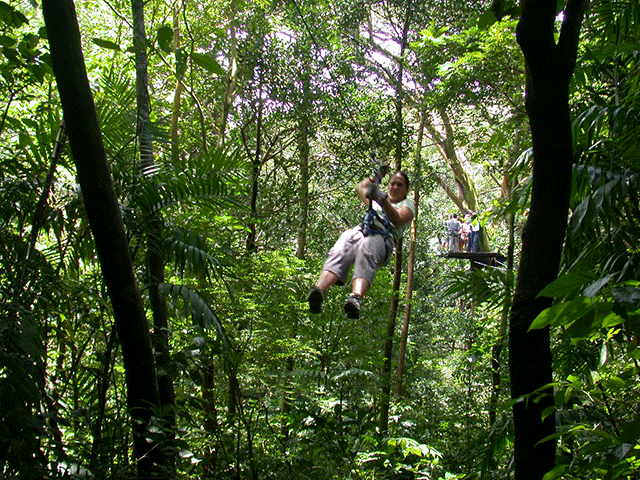 Adventure and even not so adventurous travelers can find in Guanacaste lots of options for canopy tours, which allow tourists to glide over the tops of the trees, next to the waterfall on a river or in the middle of mountain canyons. Several biological reserves also have platforms on the tops of large trees where people are raised. It is the highest volcano in the Guanacaste Mountain Range, it’s also a protected area that gives a home to the rainforest, tropical dry forest, as well as the great diversity of life. The Miravalles Volcano give us geothermal energy for the production of electricity. It is a national park that has dry and rainforest. 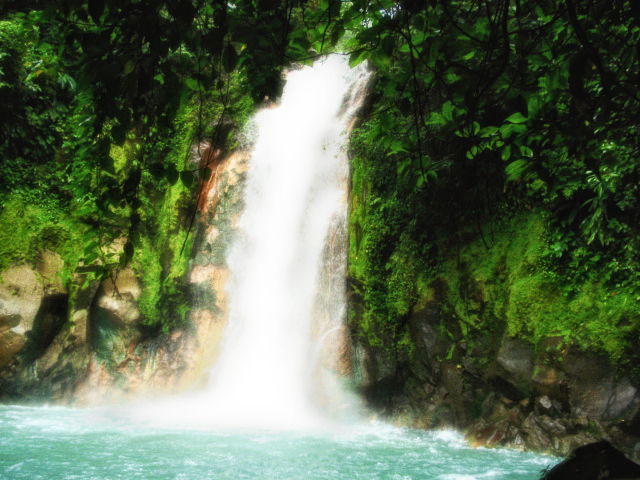 It is also the center of adventure tours, like hiking, rafting, canopy, horseback riding and tubing. As an extra, it also gives resting places, silence and thermal baths in the forest. This national park is a protected area that has rain and cloud forest. Among the charms of the area is the precious Celeste river, that has impressive turquoise waters and a beautiful waterfall, this river has been chosen as one of the ten most beautiful rivers in the world, an excellent choice for those looking for nature and wildlife. Is a city with culture and traditions, where folklore of Cosa Rica can still be seeing. ; pre-Columbian history, dance, music, food and colorful festivals. Nicoya is a large peninsula that gives a home to the southern part of Guanacaste, and it receives its name from the pre-Colombian Chorotega Culture, the name mean a country with water on both sizes (Nahuatl Language).Here you find the Guaitil pottery and Palo Verde National Park is really close from here. These areas are among the evergreen zones of the province, which is characteristic for the dry season. Nowadays it has become a tourist destination with its own personality, it has their own services and attractions, like adventure centers and wildlife watching, hiking, windsurfing, boat tours and some other water activities. Beaches that dive in perfection, with clear sand and abundant trees, which will give you the best landscapes available in the area. The beautiful bay has coral reefs and calm water to check, it was, originally, an adventure location, but now the area goes towards the ecological tourism, where yoga and meditation services are taking place among everything. Liberia is a city in the Guanacaste Province, with an important cultural treasure, it’s a must visit place, where tourists interested in local culture can explore its rich colonial history and discover the treasure that the city has. At a tourist level, it gives museums, traditional outside, art and craft galleries. Description in one sentence: “long beach with golden sand and powerful waves”. It is a town that works around surfing, local families, and many tourists that stay to live. Tamarindo offers hotels, tours and a great variety of services, it has a very active nightlife and great and charismatic people.